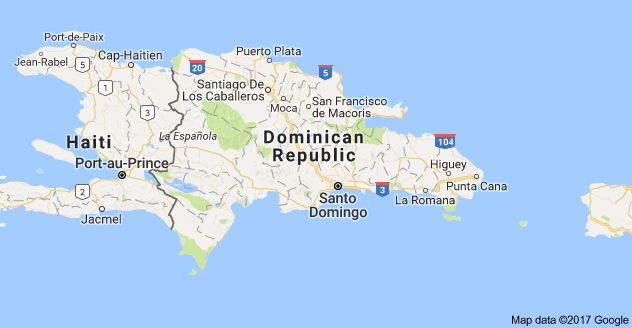 Dominican Republic is located in the Caribbean region on the island of Hispaniola. Hispaniola is divided into 2 sovereign states, the Dominican Republic and Haiti. The Dominican Republic has been at the heart of Medical Ministry International’s work since the founding of our ministry in 1969 after the Christian Medical Society (MGM) project in Puerto Plata in 1968. John and Sheila Shannon, local DR Plymouth Brethren missionaries from Canada provided leadership until 1984. Willie and Janice Hunter, Evangelical Mennonite Church missionaries in DR, began assisting the Shannon’s in the early 1970’s in the DR and many other countries. Teo Beato, M.D. and Frida Luna, M.D. are National Directors of the Dominican Republic. Teo started working at Elias Santana Center and they attended their first project as volunteers in February 1987. Alex Ramirez serves as Project Director in Dominican Republic and contributes greatly in Medical Ministry International's works providing health care to poor areas. Through our one and two week projects many have been trained by our faithful leaders Drs. Teo Beato and Frida Luna, carrying our mission to many of the other countries where Medical Ministry International is located today. 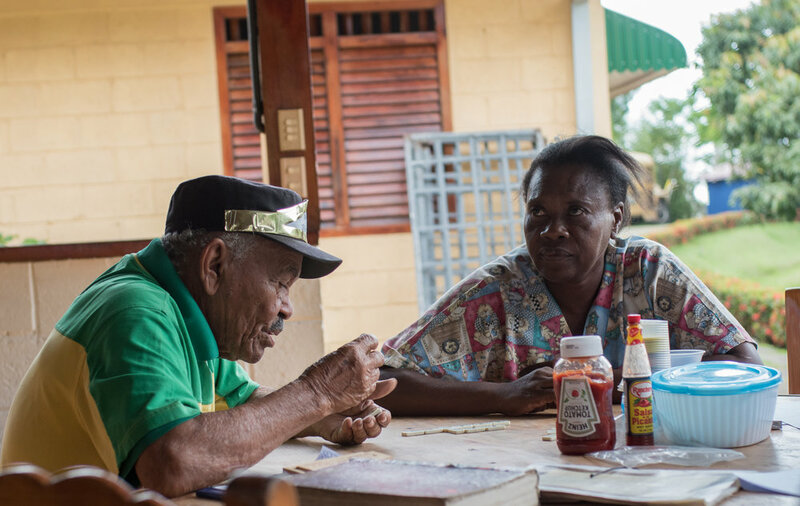 Our vision for the future is that the work will not only continue to serve the poor in the DR, but also serve as a bridge for volunteers and leaders to ultimately serve those in need in other locations. Paco has been volunteering with Medical Ministry International since 1969. He registers all the patients, and he’s turning 91 in 2019! Dajabón is the capital city of the Dajabón province in the Dominican Republic. 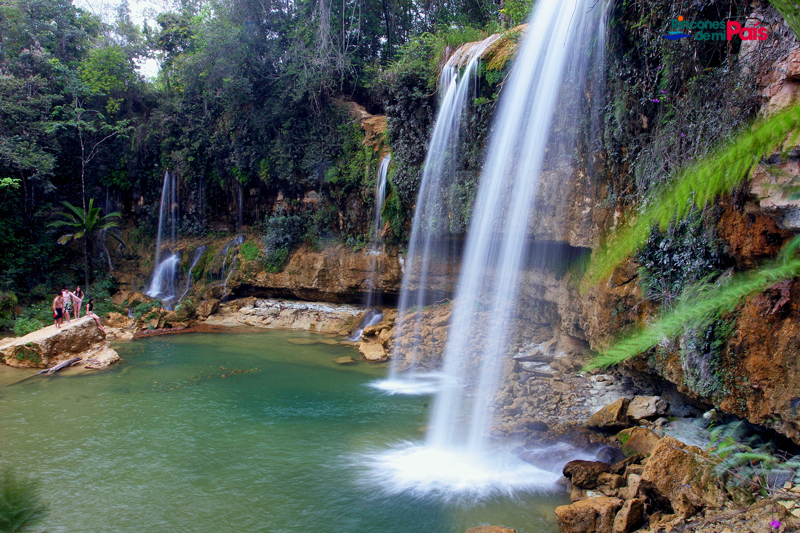 It is located on the Dajabón River on the border with Haiti. It is a market town with a population of about 40,000. The city was initially founded between 1771 and 1776, but was soon after abandoned during the War of Independence. It was settled again shortly after the Restoration War in 1865. * Project Description: At the clinic site, the teams provide medical consults and screenings for surgical patients. Patients are referred to the hospital for surgical procedures, dentistry, integrated health education, and optometry. The Integrated Health component will include discussions about hygiene, preventing the spread of germs, dental health, and preventing dehydration. All services provide opportunities for team members to sensitively demonstrate and share their faith in partnership with local believers. In the local Hospital, we provide the services according to the different volunteer’s specialty. The promotion of project services is done through the local Churches, hospital staff, local radios, and channels. El Factor is a town in the María Trinidad Sánchez province of the Dominican Republic. The town has a population of approximately 20,148. * Project Description: Teams provide	Surgical and Medical services to the people in the El Factor area. This will likely include consultations, major and minor surgical procedures, dental procedures, treatments, and cleanings, integrated health education, and administering eye glasses. The surgical procedures take place in the local hospital, and the remaining services take place at the clinic site. The climate is tropical. El Factor is a city with a significant rainfall, even in the driest month. Las Matas de Farfán is a town in the San Juan Province of Dominican Republic. It is the birthplace of a number of current and former Major League Baseball players including Jean Segura, Juan Encarnacion, Roberto Novoa, Odalis Perez, Ramón Santiago, and Valerio de los Santos. It is located in the middle of the west end of the Island, approximately 4 hours by bus from Santo Domingo. The population is approximately 40,000 people. Most people work in agriculture, making a daily wage of 20 – 25 dollars on average. Many move from the countryside to the cities for more job opportunities, usually in public transportation of small motorcycles. There is great need in this area as many people face problems such as few job opportunities and a lack of health insurance. * Project Description: At the clinic site, the teams provide medical consults (including general consults, pediatric, dermatology, internal medicine, screen surgical patients, and refer them to the hospital for surgery), dentistry, integrated health education, and optometry. The Integrated Health component will include discussions about hygiene, preventing the spread of germs, dental health, and preventing dehydration. All services provide opportunities for team members to sensitively demonstrate and share their faith in partnership with local believers. In the local Hospital, we provide the services according to the different volunteer’s specialty. * Project Description: Volunteers work alongside local staff to provide specialized medical, surgical, and dental services to communities in the Matancitas area. At the clinic site, normal medical consults, dentistry, IHE, and optometry will be done. In a local hospital, teams will provide the services according to the identified need and the volunteers speciality. The surgical procedures take place in the local hospital, and the remaining services take place at the clinic site. Miches is a town located in El Seibo province in the northeast coast of the Dominican Republic. The community sits between the northern slopes of the Cordillera Oriental and the southern shore of the Samaná Bay. Miches is an emerging rural community, so that it has limited access to markets, low levels of education and limited opportunities for employment. Miches has traditionally been a humble community in one of the poorest regions of the Dominican Republic. 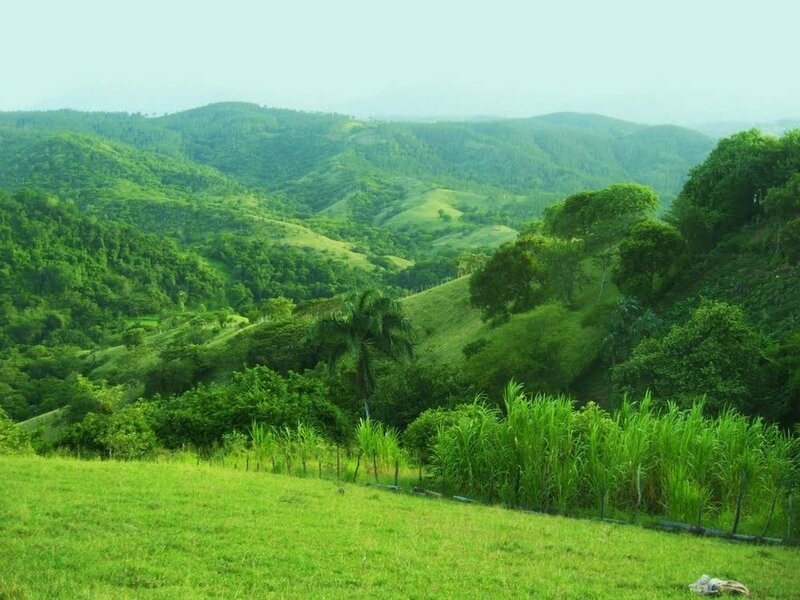 Agriculture, particularly the cultivation of rice, coconut, cocoa and tubers like yautía and ñame, cattle ranching, artisanal fishing, local handicrafts and small businesses are the main economic engines of the area. Due to its geographical location, with the sea to the north and a mountain range to the south, Miches has historically lived isolated, which has impacted negatively to economic development. In recent years, tourism has developed in the region for the extension of its beautiful beaches and its irregular coasts creating unique landforms. The area has mangroves, coconut trees, mountains, rivers, waterfalls, caves, and tropical forests. * Project Description: Teams provide medical, surgical, and dental services to communities in Miches. The surgical procedures take place in the local hospital, and the remaining services take place at the clinic site. Tropical wet climate with no dry or cold season as it is constantly moist. Monte Plata was founded by residents of the towns of Monte Cristi and Puerto Plata, whose destruction was ordered by the king of Spain and carried-out by Antonio Ozorio, Governor of the Island. The name was created as a combination of the names of the two cities. Monte Plata possesses a wealth of folkloric elements and rich culture. Some of its best-known cultural elements are its folk songs, folk dances, oral and written traditions, historic monuments, and popular folk beliefs. In Monte Plata, a large population of people do not have the resources to travel even to the nearest hospital as transportation to and from the rural areas is expensive. Medical services are limited. * Project Description: Teams work in a local hospital to provide surgical services to the community, while the dental, medical, and optometry compoents take place at the clinic site. There is also an Integrated Health component to these projects where we discuss hygiene, preventing the spread of germs, dental health, preventing dehydration, and so on. Teams work with in collaboration with the local hospital staff and local churches. Nagua, a medium-sized town, is the capital of María Trinidad Sánchez province in northeastern Dominican Republic. Nagua's economy relies on the production of agricultural products including rice, coconuts, and cocoa bean. Most of the town lies below sea level. 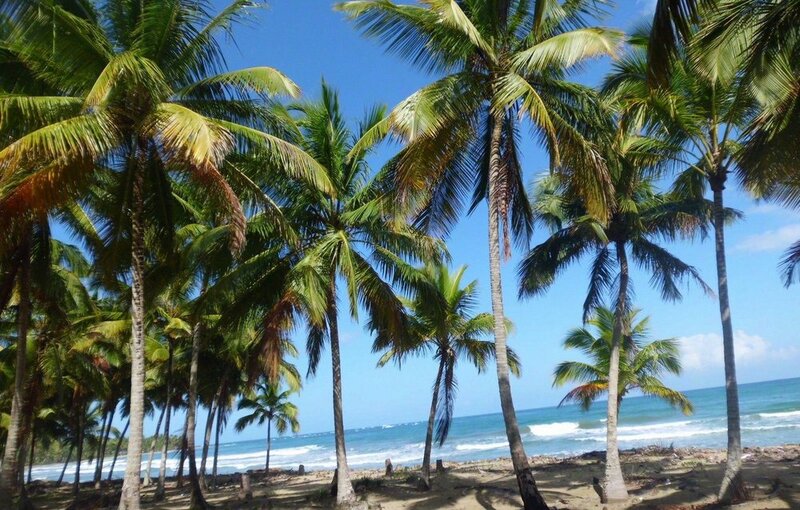 Nagua has a tropical wet climate, with no dry or cold season as it is constantly moist. Average temperature for January is a High of 29°C (84.2°F) to a Low of 20°C (68°F). The team will be working in a tropical area, so, it could be humid, raining, muddy and chilly in the mornings. Palenque is located at the coast of the Caribbean Sea near San Cristóbal. It is divided into Sabana Grande de Palenque and two districts: Sabana Palenque and Juan Barón. It has some of the most popular beaches among the locals, but is generally not considered one of the major tourist destinations of the country. * Project Description: At the clinic site, teams provide normal medical consults, dentistry, integrated health education, and optometry. In the local hospital, teams provide the surgical services according to the different volunteer’s specialty, often including general surgeries, OB GYN, reconstructive plastic surgeries, orthopedic, and so on. The Integrated Health component of these projects often include discussions about hygiene, preventing the spread of germs, dental health, preventing dehydration, and so on. Río San Juan is a relaxed and calm town, which is distinctive because of its location on a mangrove lagoon, only an hour east of Cabarete. * Project Description: Teams work in a local hospital to provide surgical services to the community, while the dental, medical, and optometry compoents take place at the clinic site. Teams work along side the local hospital staff and local churches. The teams provide the surgical services according to the different volunteer’s specialty, often including general surgeries, OB GYN, reconstructive plastic surgeries, orthopedic, and so on. There are often dentistry and optometry components. The promotion of project services is done through the local Churches, hospital staff, local radios, and TV channels. The community of Sabana de la Mar is located in the eastern area of Dominican Republic. The economy of the inhabitants is based on agriculture and fishing. 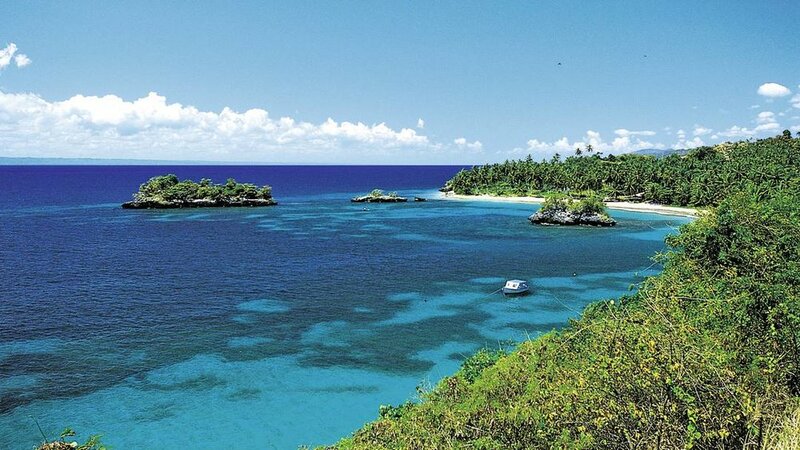 Located in Samaná Bay, Sabana de la Mar is one of the most beautiful areas in this country. The population is approximately 30-40,000 people. * Project Description: At the clinic site, teams provide dentistry, integrated health education, and optometry. In the local Hospital, teams provide the surgical services according to the different volunteer’s specialty, often including general surgeries, OB GYN, reconstructive plastic surgeries, orthopedic, refraction, and so on. The Integrated Health component of these projects often include discussions about hygiene, preventing the spread of germs, dental health, preventing dehydration, and more. Sabana Grande de Boyá is one of the areas of highest need in the country. It is inhabited predominantly by Haitians, who are most often ex-sugar cane workers. These people are commonly elderly, unemployed, and lack health insurance. Many people's livelihood in is agriculture, and a days salary is approximately 15 – 20 dollars on average. Many people move from the countryside to the city for better job opportunities, usually in public transportation of small motorcycles. Most people do not have health insurance. In Sabana rural areas, there are many elderly people and children, but not many young adults to work and help with the ones that remain. * Project Description: The teams work in a local hospital belonging to the Social Security System. At the clinic site, teams provide normal medical consults, dentistry, integrated health education, and optometry. The Integrated Health component of these projects often include discussions about hygiene, preventing the spread of germs, dental health, preventing dehydration, and more. 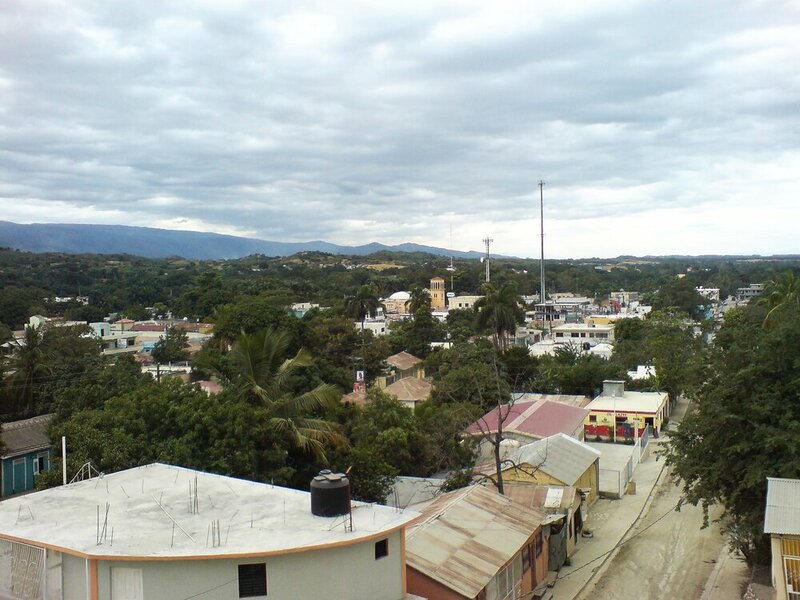 San José de las Matas is a community located in the middle of the country, about 550 meters above the sea level, with a population of approximately 20,000 people. Most people earn a daily wage from agriculture. Many individuals move from the countryside to the city for better job opportunities, commonly in public transportation with small motorcycles. Much of the community struggles with the reality that there are limited job opportunities. Although the National Insurance program is offering better health care to the communities, there are still many patients that have trouble finding care for various reasons. * Project Description: The team will provide services to people living with poverty in the communities of San José. The teams are often divided into Surgical, Dental, and Medical Teams that can go to a different village every day, work in a local hospital with the local staff and promotes the health services to the community. The Integrated Health component will include discussions about eye care, hygiene, preventing the spread of germs, dental health, and information about the clinic stations. The average temperature for the month of June is typically a high of 33°C (91°F) and a low of 22°C (72°F). The Villa Los Almácigos community is about 5 hours west of Santo Domingo. There are approximately 30,000 people living in Villa Los Almácigos. Most of the people earn a daily wage in agriculture. * Project Description: The team will provide services to people living with poverty in the community. The teams are often divided into Surgical, Dental, and Medical Teams that can go to a different village every day, work in a local hospital with the local staff and promotes the health services to the community. The Integrated Health component will include discussions about eye care, hygiene, preventing the spread of germs, dental health, and information about the clinic stations. Average temperature for November is a High of 28°C (80°F) to a Low of 20°C (68°F). Travelers must present a valid passport. Tourist visa is required at a cost of $10 USD. A departure tax of $20 USD is required. • Canadians: Please check the following website for the most current entry/exit requirements. The money in the Dominican Republic is the Dominican peso (DOP). MMI staff will help you exchange money. All major credit cards are accepted - Visa and MasterCard the most widely accepted (make sure to call your credit card company and let them know that you’ll be traveling internationally). Traveler’s cheques are not easily cashed. You must bring US dollars in good condition. Torn, stamped or old bills will not be exchanged. $100 bills older than 2006 are also not accepted. The Elias Santana Hospital is located in Los Alcarrizos, Dominican Republic. The Elias Santana Hospital was established in 1984 in los Alcarrizos outside Santo Domingo with generous donations after hurricane David of 1979. Medical Ministry International continues to support programs at the Elias Santana Hospital. Graduates from the Ophthalmology Residency Training program have returned to their countries to serve those in need, including Armenia, Azerbaijan, Bolivia, Ethiopia, and India. The Elias Santana Hospital was established in 1984 in los Alcarrizos outside Santo Domingo with generous donations after hurricane David of 1979. Medical Ministry International continues to support programs at the Elias Santana Hospital. Graduates from the Ophthalmology Residency Training program have returned to their countries to serve those in need, including Armenia, Azerbaijan, Bolivia, Ethiopia, and India.